Rev. 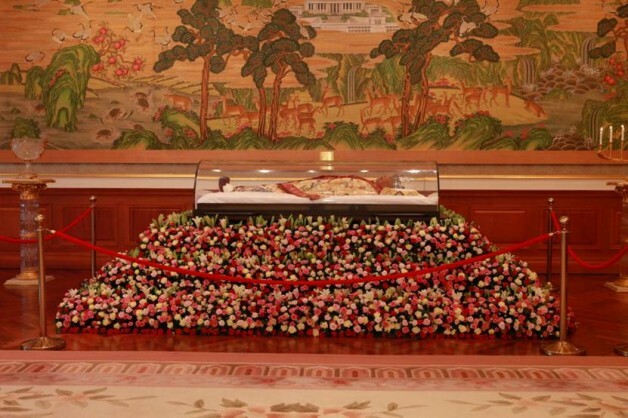 Moon’s funeral, or seung hwa ceremony, was held on Saturday, 15th September. 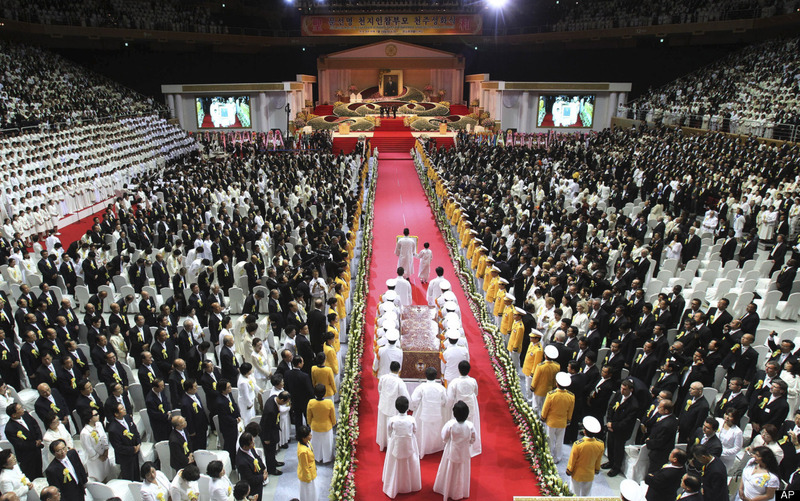 Seung hwa does not mean funeral, but rather ‘ascension’: it was Moon’s own teaching that they are to be happy occasions, celebrating passing into the co-existent spiritual, heavenly realm and affirming belief in the afterlife. But how will this day be remembered in years to come? This is a reflection on the life, rather than the death, of Sun Myung Moon. Often when I hear people from outside the Unification Church commenting on Rev. Moon and his Chuch, they mention that he is ‘a very charismatic leader’. Will it survive without him? I found out when I stepped in after work. Despite being a former member of the Unification Church (about which, see my story), I still have contact with members now and then. His health had been ailing for a number of days. He had finally died. I recently had a conversation with some friends. They were feeling old; one of them was soon to turn 30 and the other was pondering having his first child. Time was ticking on and he was beginning to ask himself if there were things he might never get the chance to do. It struck me really deep and I started to ask myself some tough questions. What do I want to do before I die? What am I living for? I just logged in to facebook and found out that a young man I knew a few years ago has passed away. He was engaged to be married. He was intelligent, funny, innocent and, in the last few posts on his wall, made incredibly deep commentaries on spirituality. I am in shock. I’ve been meeting and making so many friends recently, while also recognising that many of the connections I have made in the past are being severed. Our life paths diverge, cross and end at unexpected times. When people are born or pass on the Source is watching over it all. What does it look like? A perfect system, or maybe more like a tangle of threads?